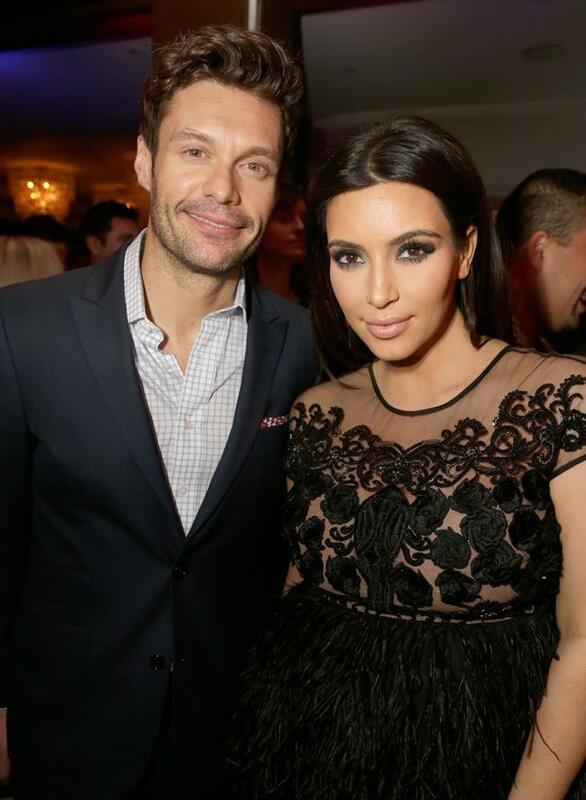 Ryan Seacrest thinks Kim Kardashian and Kanye West's wedding will be "amazing". The TV star is executive producer of reality show Keeping Up with the Kardashians, meaning he knows the family well. Kim and her rapper beau are set to tie the knot on May 24 and Ryan has opened up about what he thinks the nuptials will be like. “Here’s what I would guess. It would be one of the most amazing ceremonies that has ever been had,” he grinned to Access Hollywood. Kanye proposed to the socialite on her 33rd birthday in October last year and they plan to have the wedding in Paris. Ryan is sure everyone in attendance will see how much the pair care about each other, but he's not yet sure whether any of the ceremony will be shown on TV. “I think that we’ll all sort of smile and love that fact that you can see how much he adores her and she adores him,” he revealed. It seems that Kim is working hard to be in shape for the big day. She and Kanye, 36, welcomed their first baby, daughter North, in June last year. The gorgeous brunette has toned up fast and shared a picture of her progress on Instagram. "Just finished my morning workout (sic)," she captioned the snap, which showed off her impressive abs in a black cropped top.